Charles George Watts (4 September 1894 – 30 January 1979) was an English cricketer. Watts was a right-handed batsman. He was born at Hinckley, Leicestershire. In cricket, batting is the act or skill of hitting the ball with a bat to score runs or prevent the loss of one's wicket. Any player who is currently batting is denoted as a batsman, regardless of whether batting is their particular area of expertise. Batsmen have to adapt to various conditions when playing on different cricket pitches, especially in different countries - therefore, as well as having outstanding physical batting skills, top-level batsmen will have lightning reflexes, excellent decision-making and be good strategists. Hinckley is a market town in southwest Leicestershire, England. It is administered by Hinckley and Bosworth Borough Council. Hinckley is the second largest town in the administrative county of Leicestershire, after Loughborough. Watts made a single first-class appearance for Leicestershire against Glamorgan in the 1924 County Championship at Aylestone Road, Leicester. With no play possible on the first two days of the match, Leicestershire won the toss on the third and final day and elected to bat, scoring just 91 runs in their first-innings, with Watts contributing 16 runs before he was dismissed by Frank Ryan. In response, Glamorgan fared little better, making 107 in their first-innings. 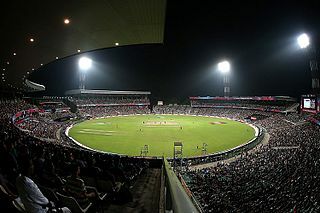 The match was declared a draw following the conclusion of this innings. This was his only major appearance for Leicestershire. Leicestershire County Cricket Club is one of eighteen first-class county clubs within the domestic cricket structure of England and Wales. It represents the historic county of Leicestershire. It has also been representative of the county of Rutland. The club's limited overs team is called the Leicestershire Foxes. Founded in 1879, the club had minor county status until 1894 when it was promoted to first-class status pending its entry into the County Championship in 1895. Since then, Leicestershire have played in every top-level domestic cricket competition in England. Glamorgan County Cricket Club is one of eighteen first-class county clubs within the domestic cricket structure of England and Wales. It represents the historic county of Glamorgan. Founded in 1888, Glamorgan held minor status at first and was a prominent member of the early Minor Counties Championship before the First World War. In 1921, the club joined the County Championship and the team was elevated to first-class status, subsequently playing in every top-level domestic cricket competition in England and Wales. He died at the place of his birth on 30 January 1979. His nephew, Gordon Lord, also played first-class cricket. Gordon John Lord is an English cricket coach, coach educator, and retired first-class cricketer. He was a left-handed batsman who played for Warwickshire and Worcestershire, but who despite a promising start in which he played three youth tests for England never fulfilled this promise and retired well short of 100 first-class games. Benjamin Francis Smith is a former English first-class cricketer who was a right-handed batsman and occasional right-arm medium-pace bowler. The War Memorial Athletic Ground, often referred to as simply the War Memorial Ground, is a sports ground in the Amblecote region of Stourbridge, West Midlands, England. It plays host to both cricket and football, being the home of Stourbridge Cricket Club and Stourbridge Football Club. James "Jim" Allenby is an Australian cricketer who most recently played for Somerset. He is a right-handed batsman and a right-arm medium-pace bowler. Phillip Anthony Cottey is a former Welsh cricketer who played for Glamorgan, Sussex and Eastern Transvaal in a first-class career lasting 18 years. He was a right-hand batsman and right-arm off-spin bowler. Derbyshire County Cricket Club in 1921 represents the cricket season when the English club Derbyshire had been playing for fifty years. It was their twenty-third season in the County Championship and they won five matches to finish twelfth. Frank Henry Vigar was an English cricketer who played first-class cricket for Essex between 1938 and 1954. A right-handed batsman, and leg break bowler, Vigar served as an all-rounder with 8,858 runs at 26.28 and 241 wickets at 37.90. From his rained-off debut in 1938, Vigar went on to play 257 matches for his county. His greatest success came in the "golden summer" of 1947, where he scored 1,735 runs and took 64 wickets. A partnership with Peter Smith of 218 for the final wicket remains an Essex record. George Benjamin Nichols was a professional first-class cricketer who played 134 matches for Somerset, after starting his career with five first-class appearances for Gloucestershire. He was a key part of the Somerset team that won the 'Second-class County Championship' in 1890 by winning twelve of their thirteen matches, tying the other with Middlesex. A right-handed batsman and right-arm fast-medium bowler, he was known for being able to bowl long, accurate spells. Edward Jewel Whitting was an English cricketer who made one first-class appearance in 1892. He was a right-handed batsman and a right-arm fast bowler, although he did not bowl in first-class cricket. Basil Leonard Rogers was an English cricketer. Rogers was a right-handed batsman. Born in Bedford, Bedfordshire, he was the son of Richard Rogers and Julia Marsh. His father was head groundsman at Bedford Modern School, there is also an indication that he played for Bedfordshire or Oxfordshire, before either had a county cricket club. His family was large and he had 8 other siblings. He was educated in his hometown at Bedford Modern School, where he played for the school cricket team. Peter Nigel Gill is a former English cricketer. Gill was a right-handed batsman who bowled right-arm off break. He was born in Clayton, Staffordshire. Hugh Mervyn Winfield was an English cricketer. Winfield was a right-handed batsman. He was born in Gainsborough, Lincolnshire. William Neilson Gemmill was a Welsh cricketer. Gemmill was a right-handed batsman who bowled right-arm medium-fast. He was born in Thio on the French Pacific island of New Caledonia. Graham Stuart Smith was an English cricketer. Smith was a right-handed batsman. He was born at Leicester, Leicestershire. Martin Schepens is a former English cricketer. 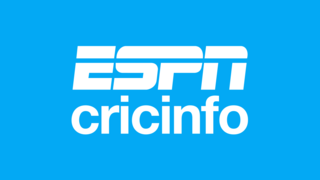 Schepens was a right-handed batsman who bowled leg breaks. He was born at Barrow-on-Soar, Leicestershire. Hubert Ralph John Rhys was a Welsh cricketer. Rhys was a right-handed batsman. He was born at Aberdare, Glamorgan, and was educated at Shrewsbury School. Robert John Hadley is a former Welsh cricketer. Hadley was a right-handed batsman who bowled left-arm fast-medium. He was born at Neath, Glamorgan. Alan Raymond Howard was an English cricketer. Howard was a left-handed batsman who bowled left-arm medium pace. He was born at Leicester, Leicestershire. William Douglas Slade is a former Welsh cricketer. Slade was a right-handed batsman who bowled right-arm medium pace. He was born at Briton Ferry, Glamorgan. Edward Lovell Williams was an English cricketer. Williams was a left-handed batsman who bowled right-arm fast-medium. He was born at Shaftesbury, Dorset. Alfred Edwin Newcomb was an English cricketer. Newcomb was a right-handed batsman who bowled both right-arm slow and right-arm fast-medium. He was born at Market Harborough, Leicestershire. ↑ "First-Class Matches played by Charles Watts". CricketArchive. Retrieved 29 February 2012. ↑ "Leicestershire v Glamorgan, 1924 County Championship". CricketArchive. Retrieved 29 February 2012.